Saturday night at The Music Center at Strathmore it’s Wagner’s 200th Anniversary Celebration! 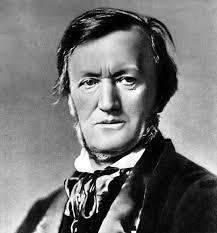 It featured the works of Richard Wagner, a 19th century German composer best known for his epic operas. Even though the program featured pieces originally written as an opera the concerto was all instrumental. The National Philharmonic Orchestra conducted by Piotr Gajewski has the task of performing some of Wagner’s most complex compositions. The program included Der Fliegende Holländer: Prelude, Lohengrin: Prelude to Act III, Tannhäuser: Prelude, Das Rheingold: “Entry of the Gods into Valhalla”, Die Walküre: “Ride of the Valkeries”, Siegfried: “Forrest Murmurs”, Die Meistersinger von Nürnberg: Prelude, Götterdämmerung: “Siegfried’s Funeral Music”, Parsifal: “Good Friday Spell”, and Tristan und Isolde: Prelude and Liebestod. A very musically demanding act! We are all familiar with Wagner’s work whether we realize it or not. Excerpts from his compositions have been featured in countless films and animation. His operas were romantic and adventurous, those scores translated really well onto film. Rather than play these pieces in their entirety Piotr elected to edit them down to the most recognizable movements; although I’m sure some of his choices weren’t just based off recognizability but various technical complexities throughout the piece. This is a relief, not only are Wagner’s operas epic in theme but they are also epic in length. Plus it gave us the chance to carouse his complete body of work. They opened with Der Fliegende Hollander: Prelude (The Flying Dutchman), an opera about a ghost ship that was of bad omen whenever spotted during a storm. It was an audacious experience. The horns boomed ominously, creating a sense of exhilaration. Piotr conducted seamlessly with the moving sound; long outstretched gestures circling in front of the orchestra. It was as if Piotr was at the helm of a ship captaining the philharmonic through a storm. Whirling violin and cello sounds cascaded, it was eerily similar to hearing the wind moan during a hurricane. The orchestra’s timpani section drums rolled and the ensemble matched loudness, ascending and descending in volume; like waves crashing against the bow of the ship. During the soft measures of the piece you can make out the flutes optimistically peaking through the chaos like a ray of sunshine through stormy clouds. All the scores sounded amazing; of course I couldn’t go without mentioning Die Walküre or “Ride of the Valkyries”. The piece that was infamously portrayed in a helicopter invasion sequence in the movie Apocalypse Now was actually a modern take on the original scene from the opera. There were Valkyries in shining armor flying to the beat of their horses over mountain passes, shouting a battle cry. It would have been nice to have this piece performed in an operatic manner, the soprano leads are incredible. In any case the Philharmonic sounded incredible! First Chair violinist Justine Lamb-Budge lead the opening magnificently. This was an extremely difficult violin number, the bows sliding at their farthermost up and down the neck of the violin. It was as if the violins represented the sky and the triumphant horns represented warriors in the sky advancing forward. It was exhilarating to say the least. Every piece performed was amazing! Parsifal in particular was wondrous. Instrumentally the concert was spellbinding not just in complexity but fluidity as well. Depicting scenes of an opera through instrumentation requires timbre, a quality that differentiates elegance from adventure. It’s the sweet subtleties that bend emotions and perpetuate lasting impressions. If you ever have a chance to see a Wagner opera or program of any kind I would. I did tonight and it was astonishing.